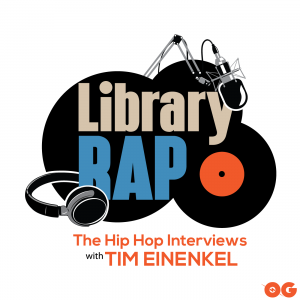 This week's guest on The Library with Tim Einenkel, Premrock. This MC has collaborated with Open Mike Eagle, El Da Sensei, C-Rayz Walz and more. Tim talks to Premrock about his early beginnings, writing and how Eazy E, Tom Waits, Ernest Hemingway, Kool G. Rap and Nina Simone have influenced him as an artist.Tim and Prem also discuss how bartending has influenced his art, his discography and how he was ready to use the sample in "Empire State of Mind" way before Jay-Z used it.